It’s a jungle out there if you're trying to build a website. Or at least, it can seem that way when starting out. Choosing the right website builder to do the job takes time and research to find the perfect fit. 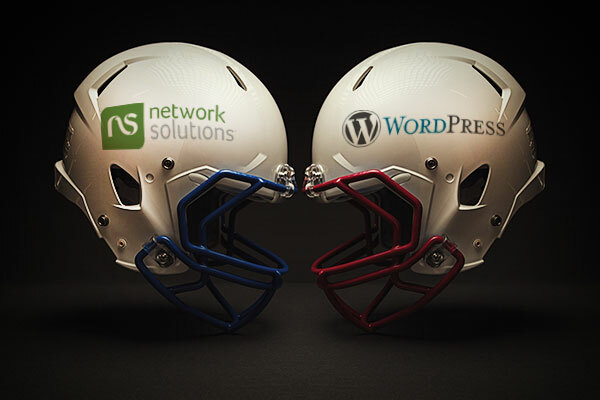 Network Solutions and WordPress are two leading website building platforms to consider, both promising attractive services to get websites off the ground. But what happens when we put these two industry leaders head to head? When it comes to setting up a website, ease of use tops the list for many people. Having a website that is functional, gorgeous and ready to go quickly is an alluring feature, leaving budding bloggers free to get on with creating killer content and delve into marketing. WordPress provides loads of customization options, if you are happy to invest the time. However, out-of-the-box functionality is an area where Network Solutions really shines. Users get easy access to customizable themes, image galleries and tools for getting SEO ready. This Makes the setup process one that is quick and painless. Building a website from the ground up is an excellent way to ensure that you are getting what you want. This may seem out of reach for many, who feel they ought to be more internet-savvy before considering such an undertaking. However, easy to use templates and tutorials make it possible for even an online newbie to create a website without a developer on hand. While many website builders offer some elements of the do-it-yourself approach, WordPress really stands out. Network Solutions also offers a self-setup option, although somewhat limited in comparison. WordPress features a much larger number of popular, professional and SEO-optimized website themes. If a DIY set-up isn’t your thing, WordPress hosting also offers expert setup help as a part of their service plan. Sometimes we all just want somebody to take care of the time-consuming details for us. Network Solutions provide a professional design service that goes above and beyond the regular call of setup duty. Subscribers to the design service can have a custom website design, photos, and written copy created for them. Additional services are also available and include the set-up of a Google Local account and a monthly website update. While WordPress doesn’t offer to build users’ websites from scratch, the platform does have a selection of professional services on hand. Some of these top-tier services include upgraded cloud hosting and improved support options. Users may also choose to hire an independent website developer to create a custom website using the WordPress platform. Both Network Solutions and WordPress come equipped with extensive options when it comes to themes and templates. Getting a website to look exactly how you like it can be a time-consuming mess or an absolute delight. Both platforms aim to make it the latter through easily accessible, beautiful templates that customers can slide their content right into. Wordpress shines in this department, thanks to a seemingly never-ending supply of themes developed by independent developers. Oceans of designs are available right at your fingertips. However, this may not be as beneficial as it initially appears, with users swimming in not-quite-right themes for days, never quite finding the perfect fit. Network Solutions provide a smaller selection of themes which have all been vetted, and provide a clean and simple search interface to help find the best match, in the least amount of time. Their beautiful selection of themes are all free and customizable, as well as providing multi-platform usability and the all important mobile responsiveness. 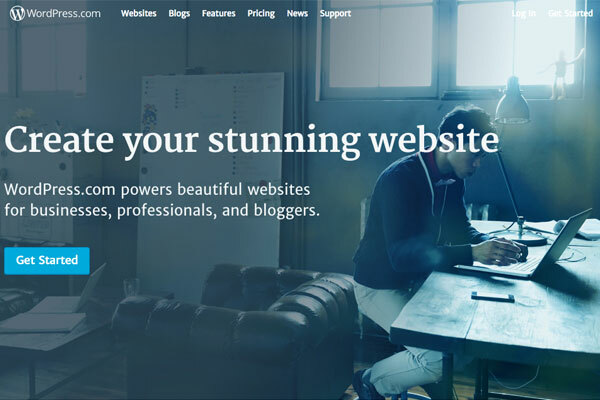 Despite WordPress’s overwhelmingly large library of themes, Network Solutions win this round on sheer usability and excellent designs. As a blog becomes more popular and established, often the need for more advanced features arise. Whether those features are a fully-loaded e-commerce storefront or a membership portal, both WordPress and Network Solutions offer a selection of plugins to extend the functionality of the website. For simple extensions, Network Solutions offers handy applications to give blogs that extra kick. PayPal integration, web forms, and map applications are easily plugged into a website from the library. Yet if it’s complex integrations and customizable plug-ins that are needed, WordPress pulls rank. WordPress outperforms most other website builders with its seemingly unlimited number of plug-ins, hooks, and add-ons developed by external developers. Both platforms offer competitive rates for their mid-range installations. WordPress hosting provides a premium hosting package for $8.25 per month, this includes 13GB of storage, a custom domain and is the first tier that provides the ability to monetize. Network Solutions offer a similar plan with their intermediate package at just $6.95 a month. But it’s is the business plan where the contrast really kicks in. Both platforms offer a business plan for extra features, storage space and added bonuses. The WordPress plan weighs in at $24.93 per month and Network Solutions business plan provides exceptionally good value at just $9.95 per month. Support issues are inevitable from time to time, whether the website is created by professionals or not. From glitches that affect functionality to the need for updated content, all websites require occasional maintenance. Your blog is no exception. Both Network Solutions and WordPress offer support online as well as free online support tutorials and forums. More personalized support is provided through purchasing an upgrade to the user's account. Network Solutions has a toll-free support phone number in addition to the usual channels, offering users an extra way to get in touch when problems arise. Looking to learn? Both platforms boast an abundance of both free and paid training resources. Materials are available for all learning styles and come in a range of written, audio and video-based materials. 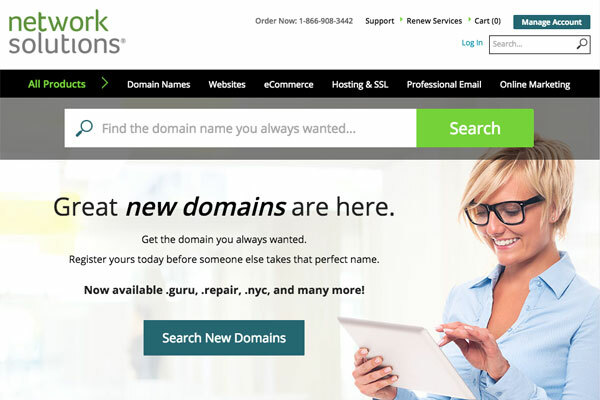 Network solutions offer one-to-one help and support throughout the setup process, as well as the option of having the website designed for you. If you are interested in learning how to setup and customize a website for yourself, WordPress is a star here. WordPress users are spoilt for choice thanks to the sheer number of high-quality resources available. Whether you’re a DIY website creator or looking for full-service design, both are excellent options. However, the overall winner here is Network Solutions. For a more detailed look at Network Solutions, visit our expert review now.